God’s word is established forever! That’s good to know!! Our eternal existence depends on the truth of the Word of God, and on the fact that the Word will not change with the passing of time or fluctuating circumstances. That should make Bible study easy. Right? Those facts certainly are needed and beneficial in the process of discovering the truth of God and His actions. You would think that to know all there is about a book of some 2,000 pages or less, would be an easy task. After all, if a crew of a few dozen Biblical scholars combined their energies and expertise, within a few years those scholars would certainly be able to clearly delineate all there is to know about the Bible. Right?!?? There are some "theologians" who think they have a corner on all Biblical information. Sad to say, there are some (just common folks), who, after reading a book or two about the Bible, also think they have all knowledge. I hate to disappoint you, but I don’t know it all. After 50+ years of study, I’m still in the beginning stages of discovering the vast truths of God’s Word. In every session of Bible study, I discover that I know so little about God’s revelation in this Grand Book made up of 66 separate books, penned by some 40 different authors. In no way, does this indicate that we can’t understand what God has revealed in His Word. It does mean, that no matter how much you have discovered in His Book, there is yet far more to be discovered. God is infinite. Therefore, the Word of God of necessity would have to be infinite, also! If we can keep these principles in mind, they will help considerably in our progress of gaining the truths of God’s Word. Truths of God’s Word are infinite and can never be exhausted by human means. To gain the truth of God’s revelation, we must remember that God’s revelation, in His Word, is progressive and accumulative. Also, the truths of the Word may be divided into at least two categories. In our discovery of God’s truth, we need a balance of BOTH. If we don’t have the "basic" things, we can never gain the "deep" things. However, if we don’t use the "deep" truths we’ve gained, we will regress in the understanding of BOTH the "basic" and "deep" things, and will find ourselves starting over again. This yo-yo experience seems to be the normal for many Christians, BUT that is not the desire of God for His children. Hebrews 5:11 of whom (Christ) we have much to say, and hard to explain, since you have become dull of hearing. 12 For though by this time you ought to be teachers, you need someone to teach you again the first principles of the oracles of God; and you have come to need milk and not solid food. 13 For everyone who partakes only of milk is unskilled in the word of righteousness, for he is a babe. 14 But solid food belongs to those who are of full age, that is, those who by reason of use have their senses exercised to discern both good and evil. 6:1 Therefore, leaving the discussion of the elementary principles of Christ, let us go on to perfection, not laying again the foundation of repentance from dead works and of faith toward God, 2 of the doctrine of baptisms, of laying on of hands, of resurrection of the dead, and of eternal judgment. 3 And this we will do if God permits. Notice that the writer, in verse 1, acknowledges that there is "much" involved in the truths of Christ, and those things are "hard" to explain. The major problem this writer had in this explaining/comprehending process was that the recipients of this truth had "Spiritual Ear" problems. These recipients hadn’t always had this hearing problem. Notice the last part of verse 11. The writer said it was hard for him explain, BECAUSE they "have become dull of hearing". This had been a process – "have become" – These recipients possibly didn’t even realize they were "Spiritually deaf". As a result of being Spiritually hard of hearing, these recipients could not hear the "hard" or deep things of the Bible. The sad reality is that many Christians live in the cycle of being re-taught the basics of Christianity. Sunday morning the preacher, once again, re-teaches the basics, but then the hearers of those basics do not put those truths to work in their lives. The next Sunday when the preacher teaches some of the "deep" things of the Word of God, they cup their Spiritual hand to their Spiritual ear and make a Spiritual utterance. That Spiritual utterance sound a little like.., "Huh?? I didn’t catch that. Would you repeat that a little louder?" Only they say it in "spiritualeze". Somehow, some people think by hearing the "first principle of the oracles of God" (vs 12) taught over and over again, they will, by this re-teaching, become mature Believer who are able to understand the "solid food" of the Word of God. This concept is a bit like a boy I heard about. "How do you expect to get into heaven, if you keep doing such naughty things?" "Well, I’ll just run in and out and keep slamming the door until they say, ‘For heaven’s sake, either come in or stay out.’ Then I’ll go in." I don’t know what systematic theology Johnny had been reading, but simply going through the revolving door of the "first principle" will not produce Spiritual maturity in the life. We need the "basics" in order to understand the "deep" things. PLUS we must use what we know, if we want to advance in Spiritual knowledge. If we don’t use what we have, we’ll lose ground, and be back to the point of needing to hear the basics again, BEFORE we can even partake of the "solid" Spiritual food. John 7:17 "If anyone wants to do His will, he shall know concerning the doctrine, whether it is from God or whether I speak on My own authority. Philippians 3:15 Therefore let us, as many as are mature, have this mind; and if in anything you think otherwise, God will reveal even this to you. 16 Nevertheless, to the degree that we have already attained, let us walk by the same rule, let us be of the same mind. Our attitude will make a "world" of difference how we receive and respond to the Word of God, as it enters our lives. Look at how the basic same message had opposite results in different people. Acts 2:36 "Therefore let all the house of Israel know assuredly that God has made this Jesus, whom you crucified, both Lord and Christ." 37 Now when they heard this, they were cut to the heart, and said to Peter and the rest of the apostles, "Men and brethren, what shall we do?" Acts 5:30 "The God of our fathers raised up Jesus whom you murdered by hanging on a tree. 31 "Him God has exalted to His right hand to be Prince and Savior, to give repentance to Israel and forgiveness of sins. 32 "And we are His witnesses to these things, and so also is the Holy Spirit whom God has given to those who obey Him." 33 When they heard this, they were furious and took counsel to kill them. In both passages, the Israelites were addressed and the message was of the crucifixion. Both groups were convicted, but one responded and the other rebelled. This same sad story can be seen over and over throughout the Scriptures. That is true of the Word of God, also. It is not that the Word is different, BUT the one receiving the Word is different with an entirely different attitude to the presentation of that Word. it might be a good idea to know a little bit about God!! It must be kept in mind that there are no physical or human illustrations or words that can perfectly depict God. The concept of God is FAR above anything humans can comprehend. Therefore, it has been suggested that we shouldn’t even give thought to such deep matters. However, God has revealed Himself to mankind. Therefore, it is His desire that we know Him, as best the human mind can. Plus, God has provided a plan and tools that make it possible to comprehend Godness even with a human mind. Please understand that any teaching or illustration that I give will not be the total picture of God. The terms and illustrations I use are only for the purpose of helping us get a "handle" on the Biblical concept of God. 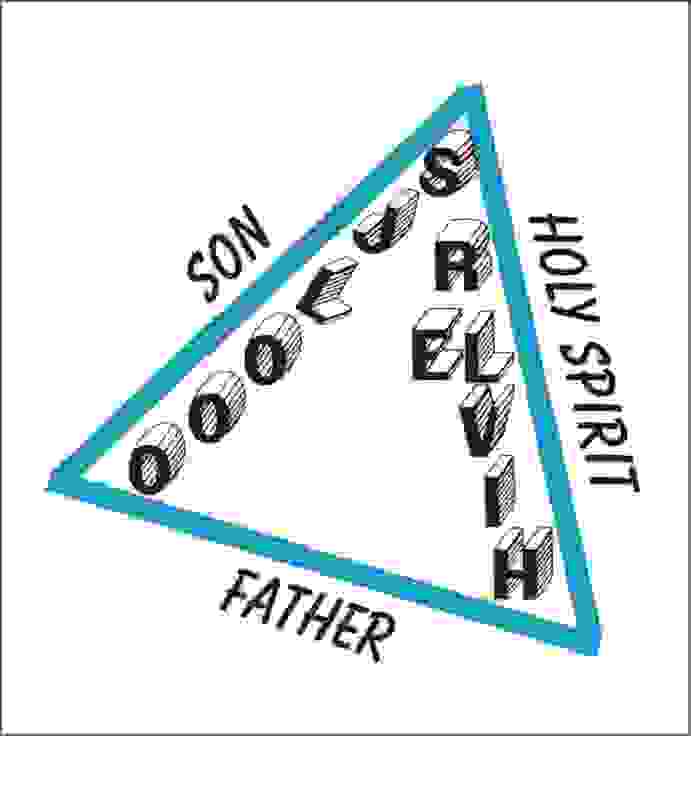 We must have the totality of the Word of God, taught by the Holy Spirit to have any real concept of God and His work. Yet, in personality God is three. I use "personality" not is the sense that is said of some, that they have multiple personalities. God in personality is three. 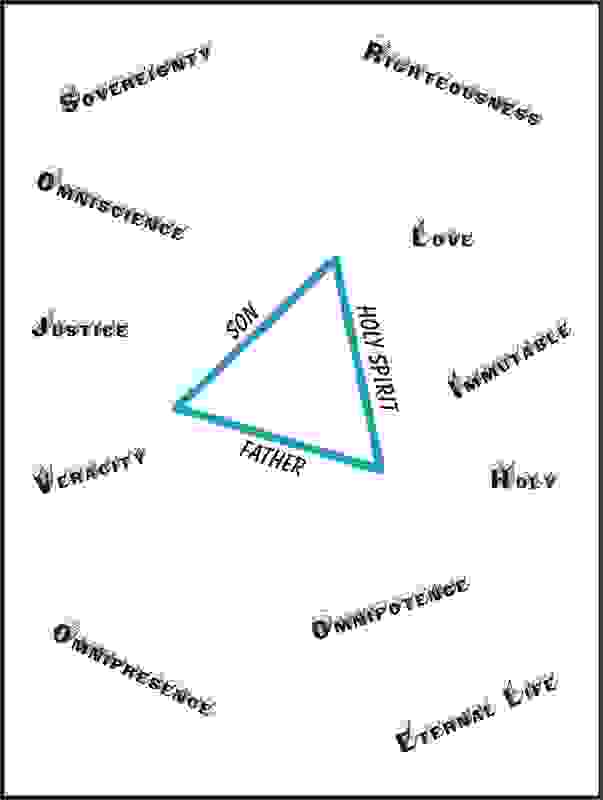 These three are separate entities, yet one in essence. 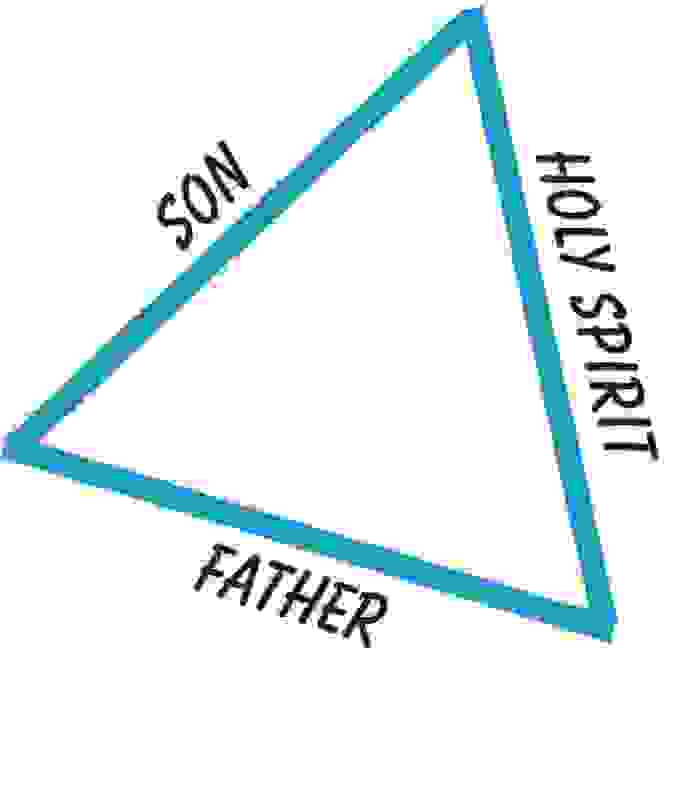 The three persons of the Trinity are God the Father, God the Son and God the Holy Spirit. These are descriptive titles taken by the persons of the Trinity as to their role in the plan of redemption (More about this later in this study). Not only are the works and words of God past finding out, likewise the Person of God is beyond mankind’s logic and knowledge. However, like any other subject, the more we know about God, from His Word, the more we can know of God. The study of God, like any other Biblical subject, can not be found in one book, or one Scripture passage. We must gather all the information about God from Genesis to Revelation. Then, we must compare that information with all Scripture, rightly divide that information, or if you prefer proper categorize it and then harmonize those truths. I call this type of study "Contextual Study", because the entire context must be studied in a systematic manner to understand the truth of the passage. There is the immediate context of the passages. There is the context of the entire book in which the passage is found. There is the historical context, and the language context, etc. For our study, I have summarized the essence of God by 11 terms. These 11 terms do a fair, but very limited job of describing God’s essence as presented throughout Scripture. Please, if someone uses other human term to present the essence of God, don’t think of them as a "false teacher". These terms are only handles. What is important is WHAT and HOW much of the Scriptures are used to explain the term. We could us 1,112+ terms and still never exhaust the vastness of God’s person. As this study progresses, the graphic that we use will most generally be just letters, instead of the words. Hopefully, this will help them stick in our minds better. Please understand that God does not act according to one of these attributes NOW, and sometime LATER act according to another. God is ALL of these things (and more) ALL the time. No one of these capacities can exist or function WITHOUT being in perfect harmony ALL the others. I will use these 11 qualities to describe the essence of God throughout this study. There are not enough words in the English language to adequately describe God and His work. I could have added, "God is Light", etc., etc. However, if we get a handle on these descriptive terms, as they relate to God, His person and His actions, we will have taken a giant step forward in our understanding of our God. We will look at the individual aspects of the essence of God one at a time, BUT we must always keep in mind that one aspect of God cannot function without being in perfect harmony with all other aspects, even though our limited minds will have a tendency to focus on one of these and think that this one term is God. I don’t know if there is a proper sequence that should be followed as we examine these aspects of God’s essence. So, for this study, we will start with "JUSTICE". 2. Impartiality; Equal distribution of right in expressing opinions; Fair representation of facts respecting merit or demerit. Let’s establish a few thing about the justice of God. We must keep in mind that God is not "just" because He follows some standard established by mankind. It is important to remember that fact and apply it in our everyday living. We must look at the actions of God to establish what "real" justice is. We can not establish a definition for justice, and then try to shove God’s actions into that definition. If all of us really believe that God is the apex of justice --- I mean, IF we really believe with our whole heart that God ALONE is the totality of justice, THEN we will not hear, nor will we utter the phrase, "Why would God allow…." Instead, the reality of 1 Thess 5:18 and many other passages will be evidence in all we encounter in life. Ah! The will of God, for my life!! How can I find that perfect spouse. and God I want it now, without any effort on my part." I’m sure we all want to be in and know the will of God for our lives. Well, there it is, clearly stated by God in 1 Thess 5:18 . Obviously, if we don’t do, or at least don’t work at those things clearly declared, by the Holy Spirit, to be the will of God --- THEN there is not much use looking any further for God’s will for our lives. If we "know" that God will take all things and work them for our good, then we need to apply this next passage. When you come to God with your prayer requests, is it with thanksgiving?? OR it is with a little bit of bitterness, because you can’t understand why God hasn’t already given you all the things on your "want list". While you are doing whatever you have to do, is it with attitude of thankfulness? Notice, it didn’t say just while you are doing the pleasant jobs, but also during episodes of flat tires, dirty diapers, and etc. I warned you! We will see this little statement many times throughout this study, BECAUSE it is so true. Please note! These are actions of God. It is from the actions of God, recorded in His Word, that we can know Who God is in His person. Take a quick peek at the actions of God in justice, both in the rewarding of good and evil. Romans 2:7 eternal life to those who by patient continuance in doing good seek for glory, honor, and immortality; 8 but to those who are self-seeking and do not obey the truth, but obey unrighteousness - indignation and wrath, 9 tribulation and anguish, on every soul of man who does evil, of the Jew first and also of the Greek; 10 but glory, honor, and peace to everyone who works what is good, to the Jew first and also to the Greek. 11 For there is no partiality with God. (justice) 12 For as many as have sinned without law will also perish without law, and as many as have sinned in the law will be judged by the… …16 in the day when God will judge the secrets of men by Jesus Christ, according to my gospel. Disobedience will be treated in justice. Period! Don’t jump out of the boat, yet! Remember, God cannot function in any of these aspects of His essence WITHOUT being in perfect harmony with all other aspects. God is also Love. We will see later some of the characteristics of love, as see why God seems, in our opinion, to "wait" to carry out justice. Galatians 6:7 Do not be deceived, God is not mocked; for whatever a man sows, that he will also reap. (justice) 8 For he who sows to his flesh will of the flesh reap corruption, but he who sows to the Spirit will of the Spirit reap everlasting life. 9 And let us not grow weary while doing good, for in due season we shall reap if we do not lose heart. 10 Therefore, as we have opportunity, let us do good to all, especially to those who are of the household of faith… …15 For in Christ Jesus neither circumcision nor uncircumcision avails anything, but a new creation. 16 And as many as walk according (justice) to this rule, peace and mercy be upon them, and upon the Israel of God. God will reward proper works with justice, also. Notice, verse 9. We will reap the reward for our work, IF we do not lose heart. The Christian life is not spurts of single acts of "goodness", but a consistent holy living. As we study this and many other aspects of Christian living, we will need to see them in the proper background of the essence of God, instead of according to manmade theories. Isaiah 11:1 There shall come forth a Rod from the stem of Jesse, and a Branch shall grow out of his roots (Christ the Elect One). 2 The Spirit of the LORD shall rest upon Him, the Spirit of wisdom and understanding, the Spirit of counsel and might, the Spirit of knowledge and of the fear of the LORD. 3 His delight is in the fear of the LORD, and He shall not judge by the sight of His eyes, nor decide by the hearing of His ears; 4 but with righteousness He shall judge the poor, and decide with equity for the meek of the earth; He shall strike the earth with the rod of His mouth, and with the breath of His lips He shall slay the wicked. 5 Righteousness shall be the belt of His loins, and faithfulness the belt of His waist. There is so much in this passage, but we need to see a few things to establish a Biblical base. He (Christ) is properly equipped to bring justice, by the Holy Spirit. Later in this study, we will look at the incarnation of Christ and will explore the how and why the Holy Spirit could impart anything to Christ. All, or at least most Believers want God to act in justice. They want justice, except when it comes to their works that are not quite up to snuff. We, Believers have, to a great extent, adopted the manner of the world when it comes to justice (BUT we are not to be conformed to the world). Many, if not most criminal court cases are decided on technicalities rather than the fact of the criminal action. Most of us, who are Christian, deplore this type of breakdown in our criminal system, that is, until justice is directed towards us. Genesis 2:8 The LORD God planted a garden eastward in Eden, and there He put the man whom He had formed. 9 And out of the ground the LORD God made every tree grow that is pleasant to the sight and good for food. The tree of life was also in the midst of the garden, and the tree of the knowledge of good and evil. Genesis 2:15 Then the LORD God took the man and put him in the garden of Eden to tend and keep it. 16 And the LORD God commanded the man, saying, "Of every tree of the garden you may freely eat; 17 "but of the tree of the knowledge of good and evil you shall not eat, for in the day that you eat of it you shall surely die." In this passage, we have the standard for both righteousness and justice in the Garden. These verses give us the standard of God, or His law. Genesis 3:8 And they heard the sound of the LORD God walking in the garden in the cool of the day, and Adam and his wife hid themselves from the presence of the LORD God among the trees of the garden. 9 Then the LORD God called to Adam and said to him, "Where are you?" 10 So he said, "I heard Your voice in the garden, and I was afraid because I was naked; and I hid myself." 11 And He said, "Who told you that you were naked? Have you eaten from the tree of which I commanded you that you should not eat?" 12 Then the man said, "The woman whom You gave to be with me, she gave me of the tree, and I ate." 13 And the LORD God said to the woman, "What is this you have done?" And the woman said, "The serpent (which your created) deceived me, and I ate." Remember, we have already seen that Christ was "the Lamb slain from the foundation of the world". If this fact had not been a reality, Adam and Eve would have taken the fast track to the Lake of Fire. Because this fact was a reality, God could offer Adam "grace" based on that fact. We’ll not chase that thought any further, at this time. Both acted on the basis of their volition given by God, BUT God did not coerce, force and even influence them to act in this manner. They acted contrary to the direct command of God, therefore God must act in justice. Look how human Adam and Eve acted in response to God’s questions. Verse 11 God ask very simple questions. "Who told you?" "Did you eat?" They were very basic and direct questions. They were questions that demanded a simple answer. There was no need to consult a theology book, or ask for counsel. Adam (Eve) did not answer properly. As a matter of fact, Adam answer as humans normally do, by deflecting blame to others including the Source of the question. In my paraphrase Adam said, "God, You are going down the wrong path. What I did was not my fault. It’s yours!! After all, You gave me this woman." Adam deflected the consequence of justice from his actions to a technicality (in his opinion) of the "court". In a sense Adam said, "If this interrogation is not conducted according to my rules, THEN the fact of my sin is not nearly as great as the ‘fault’ of the system." who pointed out that failing. Sound familiar? That’s a picture of our court system over and over again. That is not only a picture of our court system, that is the mode of operation of most of us, when confronted with failure. As a result of justifying this type of action, that started clear back in the Garden, it is difficult for our justice system to prosecute proper judgment and correction. Likewise, the same attitude has made it difficult to bring proper discipline and correction within the church. As with Adam and Eve, their attitude did not prevent the results of their sin, or keep God from acting according to His perfect essence. Our similar attitude will not prevent God from acting in justice in our case, either. How much better to recognize and confess our wrong doings (sins) AND have them forgiven and cleansed. Then, allow God to act in mercy, grace and love in our lives and continually conform us to the image of His Son. If you are here today, and have not accepted Christ as your Savior, please do so right now. If you do not accept God’s provision, God can do no less than act in justice and you will spend eternity in the Lake of Fire. You see God put your sins on Christ and acted in justice by allowing Christ of bear your sins and the punishment of those sins. Now God can act in love toward you, because the action of God’s justice (which should have been yours) has been directed toward His Son, Jesus Christ on the cross. Therefore, God can act toward you and I in love, mercy and grace. My Christian friend, we also need to come "clean" with God, stop blaming others for our lack of Christlikness, and allow God to act in Justice in our lives, also.